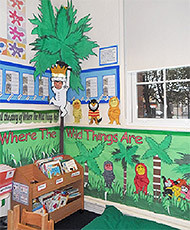 Our curriculum is a whole school approach centred on carefully selected quality texts. We always focus on raising standards in reading, writing and maths. We start the year with a focus on character and setting. 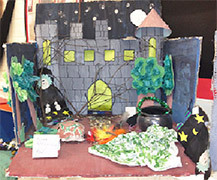 Children study different texts looking at characters and settings within the story. 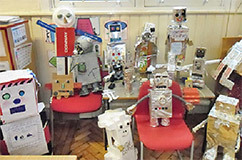 Our book corners are based on these texts and the book corner competition is the highlight for many children and staff. We focus on a range of fiction and non-fiction texts. 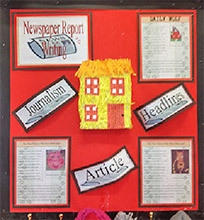 Children from all year groups then contribute to the School Newspaper which gets professionally published and sold to raise money for the Richard House Charity appeal. “If music be the food of life…Play on” It’s all about Shakespeare in the third term of the year. Children enjoy workshops performed by Shakespeare for Kids and even visit the famous Globe Theatre for a Shakespearian treat. This short term is dedicated to Discovery Month. 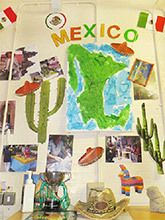 Each year group focusses on a particular country and we learn all about the history and geography as well as the cultures and traditions of that country. A River Runs Through It! This is our River Project Term. 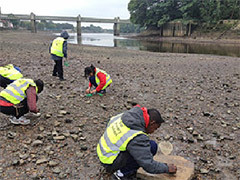 Each class takes part in activities based around life and industry on the River Thames. This topic includes Boat Trips, Fieldwork Studies and a hugely popular Boat-making competition! 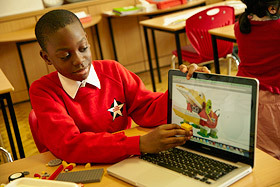 At Star we always promote our key principles and strive at all times to develop every aspect of every pupil. As well as out Creative Curriculum, we also have a robust outdoor curriculum. From our own Nursery Woodland to Camping in Year 3, Visiting York in Year 4 and Spending a week in the Lake District in Year 6.